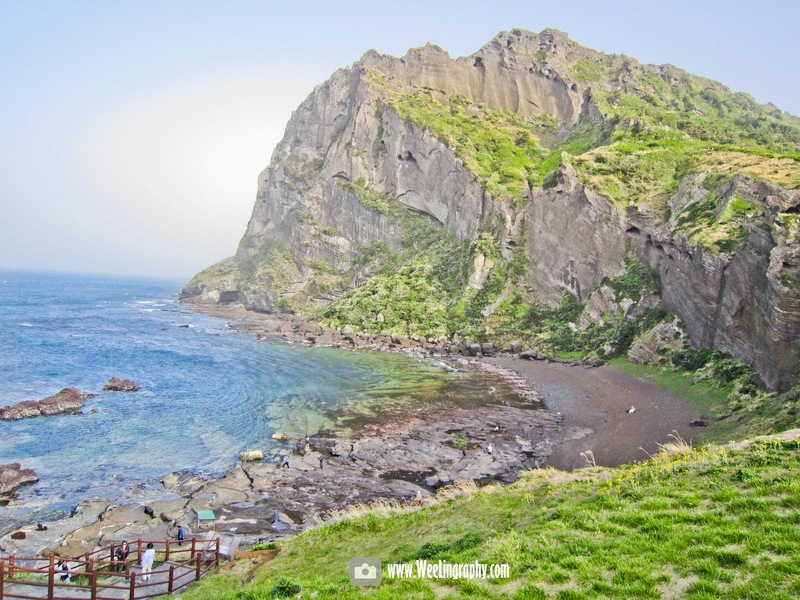 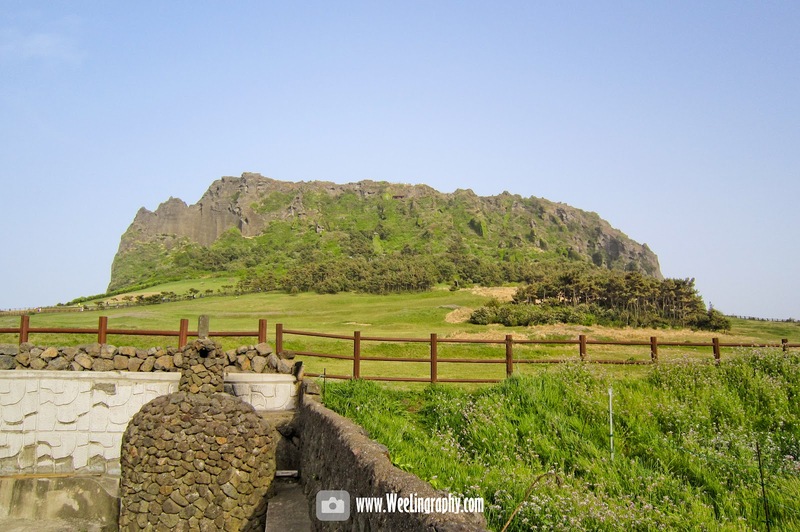 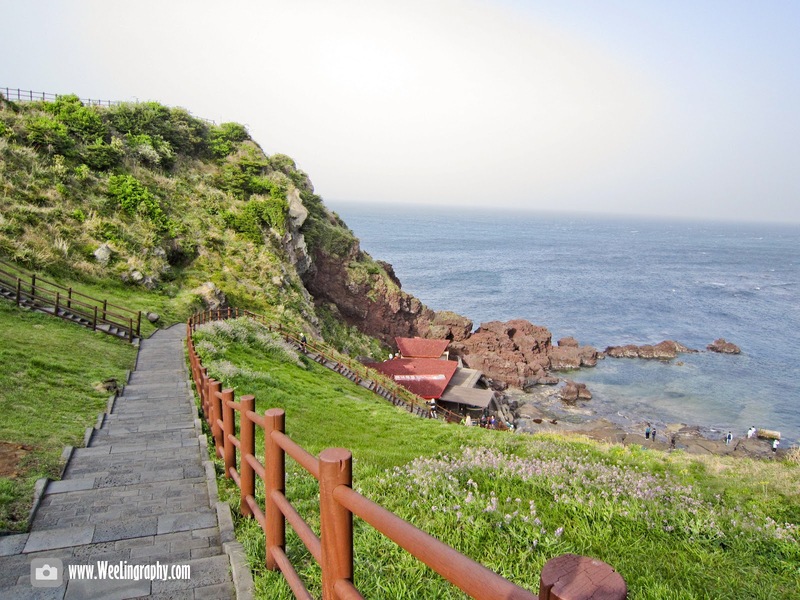 WeeLing Travel Photography : Seongsan Ilchulbong (성산일출봉), Jeju Island, South Korea. Seongsan Ilchulbong (성산일출봉), Jeju Island, South Korea. 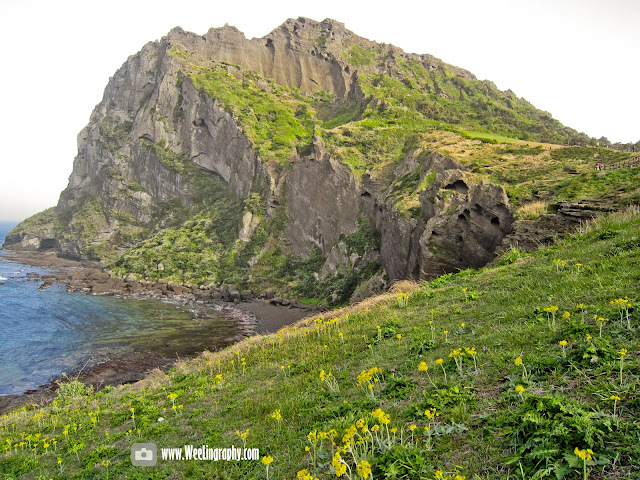 Seongsan Ilchulbong Peak (성산일출봉) also called sunrise peak (日出峰) is formed 100,000 years ago from volcanic eruption. 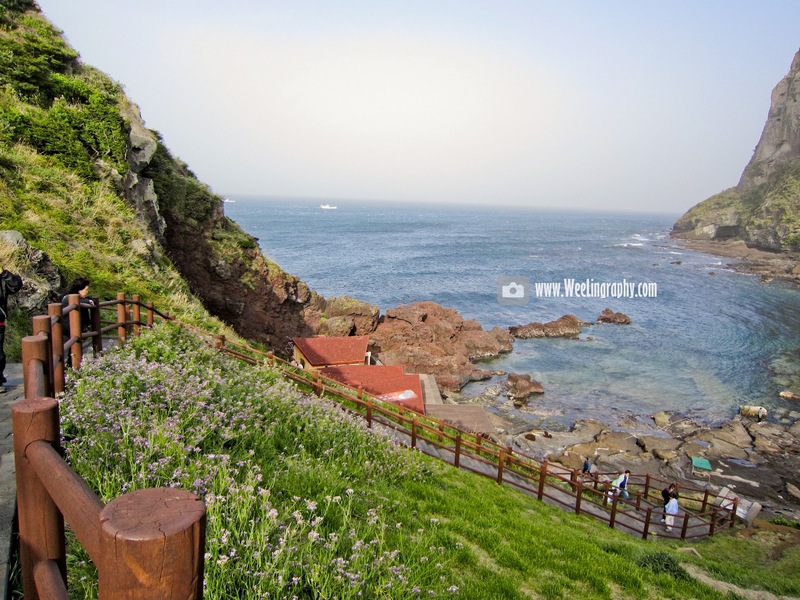 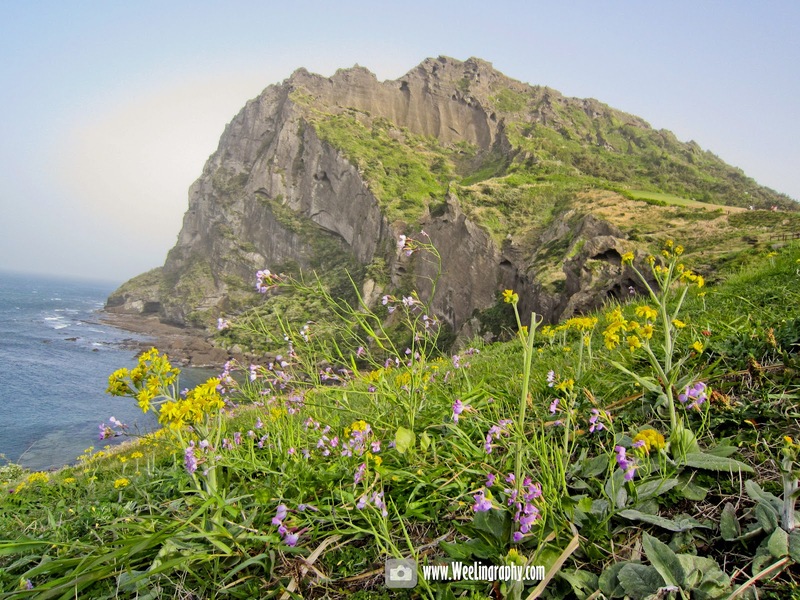 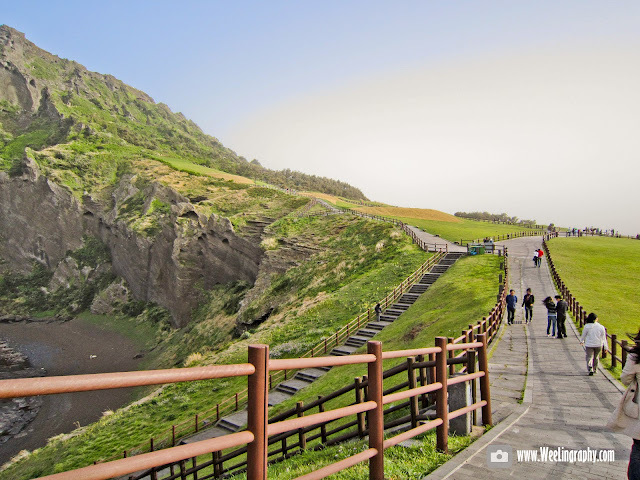 It's located on the eastern of jeju Island, on top of the peak there is a huge crater (600m in diameter and 90m high).During spring Seongsan Ilchulbong Peak is surrounded by bright yellow colored rapeseed flowers. 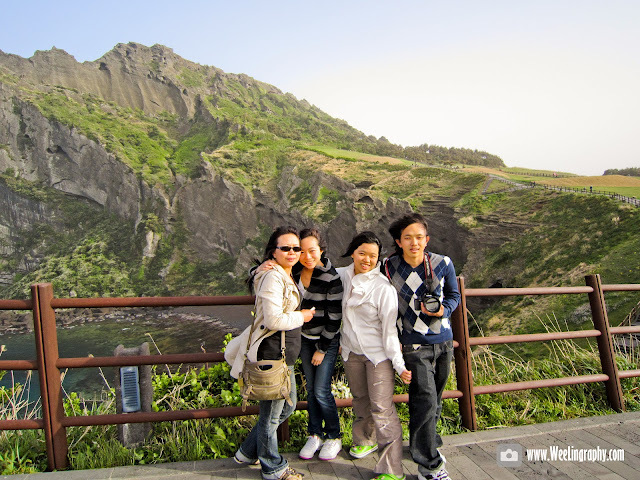 Sunrise from the peak is magnificent where can observe it from top of the mountain. 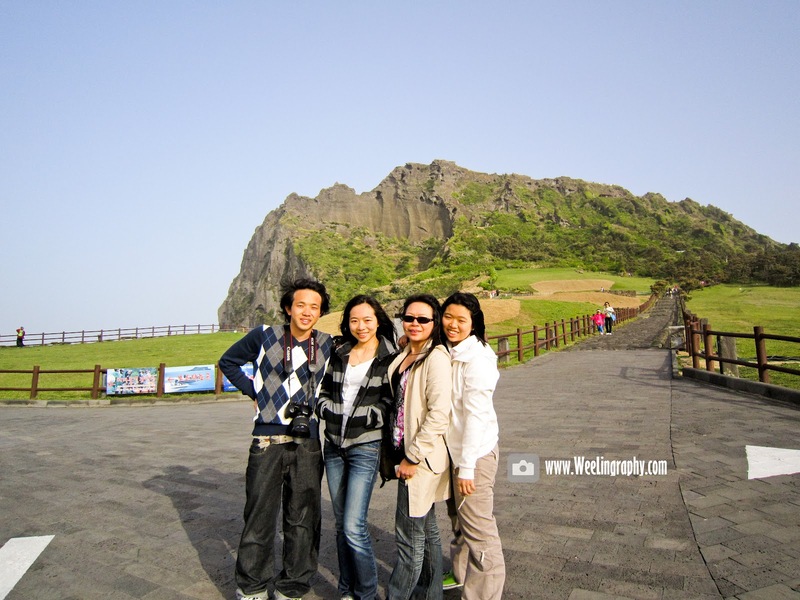 Hike from the foothills to the top take about half an hour, from the top there you will see a huge crater and scenic view of Jeju-do.It worth the hike.